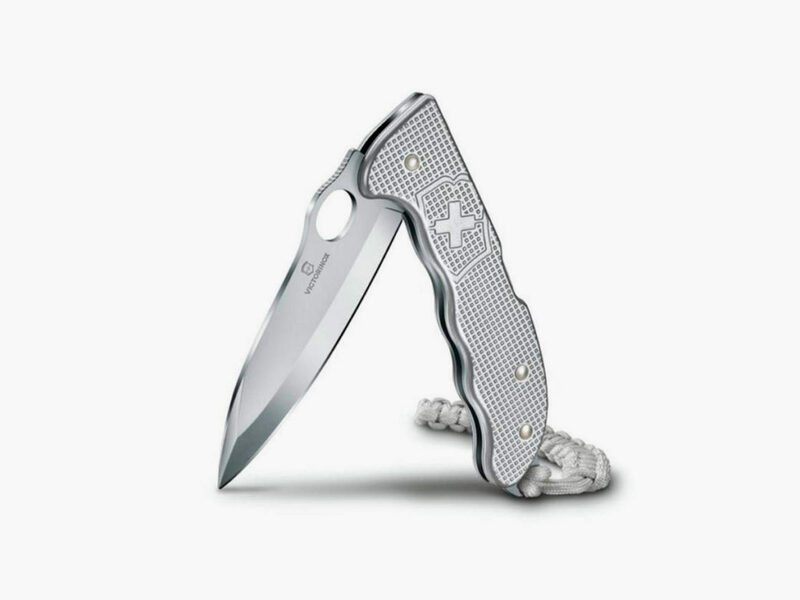 Latest incarnation of a pocket knife icon adds sophistication and sleek looks into the mix. Quick, think of a pocket knife! There’s a good change that you thought of a classic Swiss army knife. Originally made by the Swiss brand Victorinox, this iconic product has been virtually synonymous with the everyday carry retractable blade for generations. 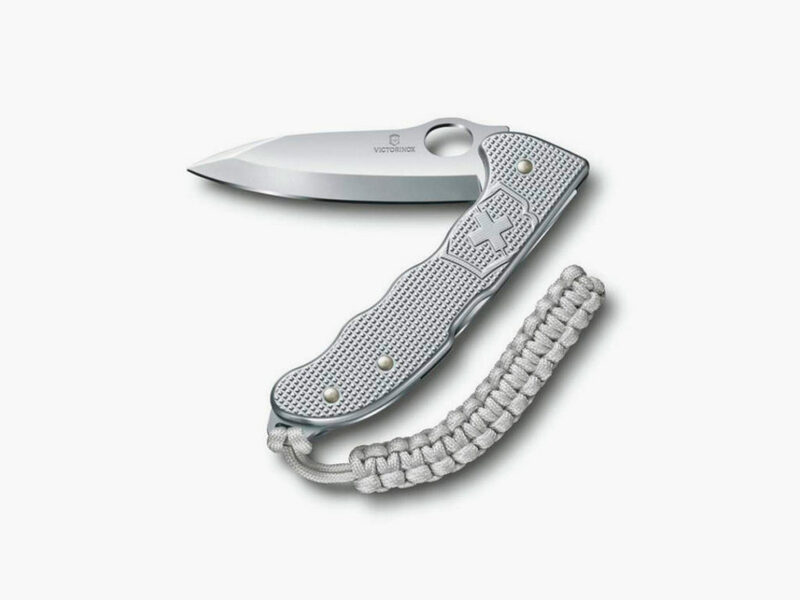 Perhaps you thought of the Victorinox Pro Hunter – a sleek and streamlined knife that features a single lockable blade of high carbon stainless steel that pivots into a handle emblazoned with the classic Swiss army knife “cross” logo. 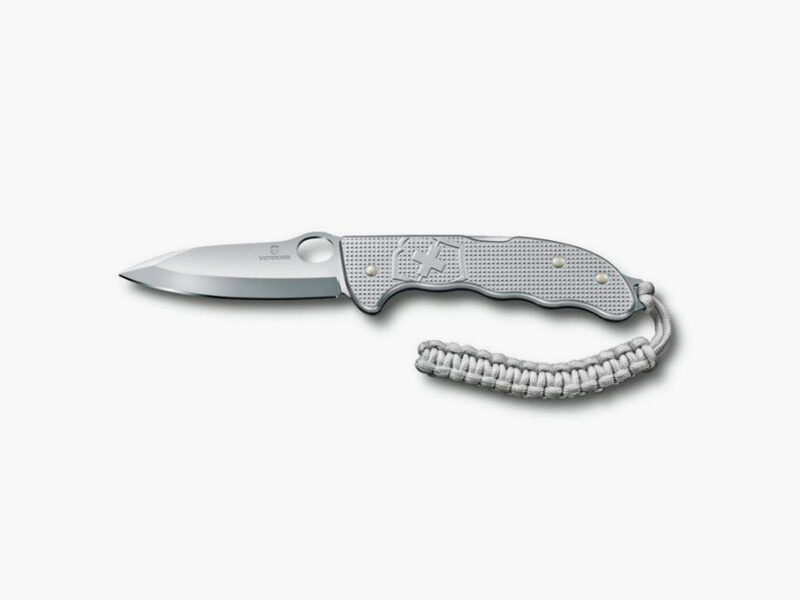 Well, the Pro Hunter is back and better than ever with the newly-newly-released Victorinox Hunter Pro M Alox. 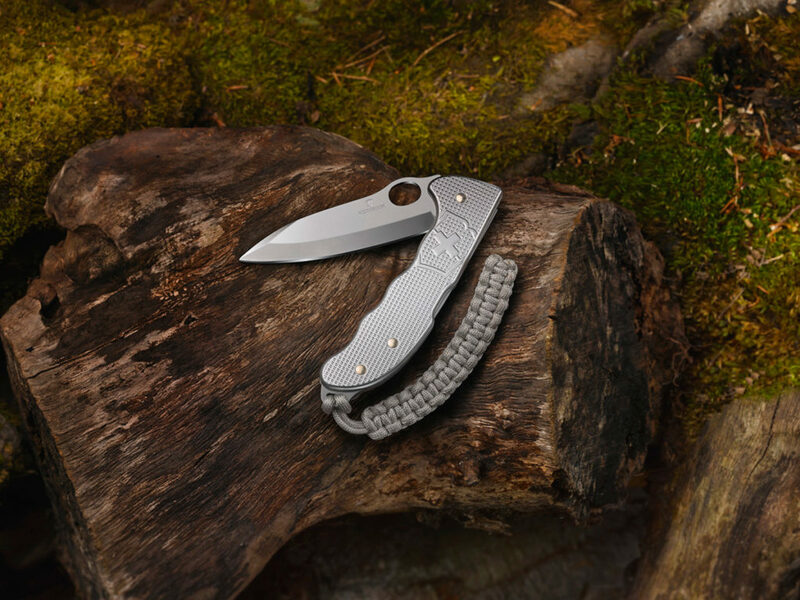 Accentuating the Pro Hunter’s slick silhouette, this knife has a highly-finished metallic exterior with a handle of ribbed Alox scales that combine a firm grip with exquisite aesthetics. 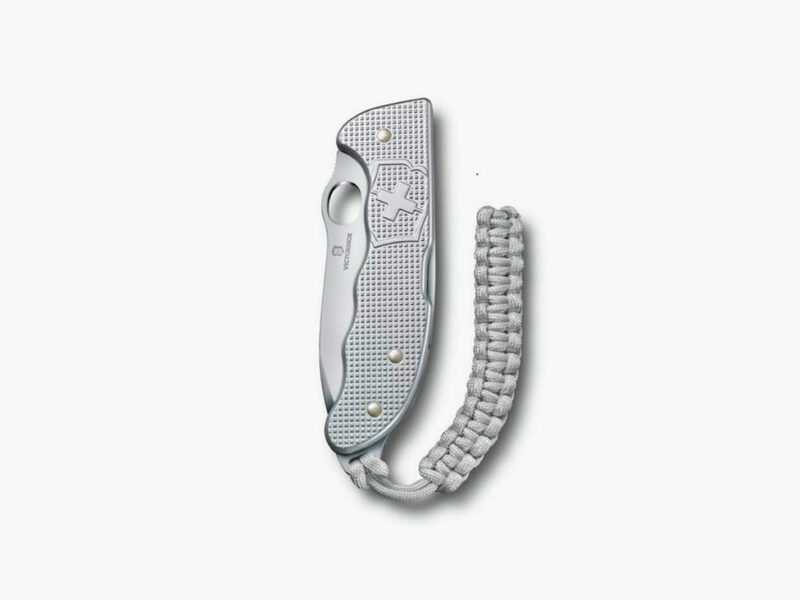 The Hunter Pro M Alox also doubles as a money clip that transports easily thanks to its attached woven silver paracord pendant.